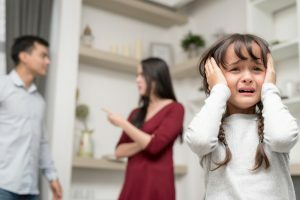 There has been almost a year of failed proposals for a restructured family law system in Australia, ultimately because the Senate failed to pass the federal government’s enabling legislation. The Australian Law Reform Commission (ALRC) has released its report that recommends amongst other things the creation of specialist state based courts that would deal with family law disputes, domestic violence and intervention orders, and child protection issues. These courts would still exercise federal jurisdiction under the Family Law Act in a similar manner to the Family Court of Western Australia. The Family Court of WA receives funding from the federal government. It is said that a new state based court of this kind would enable state judges to exercise jurisdiction under the Family Law Act 1975, a Commonwealth Act, and each state’s domestic violence and child protection legislation. It has been reported that in 2015, approximately 12,000 Victoria Legal Aid clients moved between the federal family court system and the state courts. The apparent reason for this was that federal courts cannot deal with state based domestic violence and child protection legislation. Under the ALRC proposal, this defect in the family law system would be remedied. In addition, many family law litigants experience long delays waiting for trial dates. Perhaps this proposal might lessen these delays. Under changes to Victoria’s Residential Tenancies Act 1997 proposed by the Andrews Government, tenants will be able to have pets in rented properties unless VCAT makes orders to the contrary. More significantly, tenants could seek to have their bond released without the written consent of the landlord, who would have 14 days to dispute the release of the bond before it was automatically released to the tenant. Under the amendments, landlords would be required to ensure that rental properties have heating, security and working stoves. The amendments would also provide for basic safety standards for gas, electricity and smoke alarms in rental properties. Should the proposed amendments be enacted, landlords would be well advised to review existing residential tenancy agreements for properties they own in Victoria to ensure their interests are safeguarded. In a move that should benefit consumers and ensure compliance with Australia’s consumer laws, the Federal Government has announced that the Australian Securities and Investments Commission (“ASIC”) will be tasked with placing staff in major banks at levels ranging from headquarters to local branches. This comes after evidence at the banking Royal Commission of misconduct on the part of the banks. These staff will be funded by fees paid by the banks for banking regulation. It is a step which should be welcomed, provided it is effective in ensuring the banks’ fee gouging and other misconduct ends. It is intended that the presence of ASIC staff within the banks in a supervisory or auditory role will prevent breaches of regulations and legislation from occurring, and “crack down on anyone doing the wrong thing”. It could reasonably be argued that in addition to these measures, financial penalties would be needed to be maintained to ensure the regulations are enforced. It is possible that the initiative could in time extend to other sectors of the financial sector, such as the superannuation industry and financial advisors. At present, it is fair to say Australian consumers have little faith in the banking and financial sector generally to comply with relevant consumer laws. Former High Court Judge Ian Callinan QC, who retired from the bench in 2007, is to conduct a review of the Administrative Appeals Tribunal (AAT) to ensure its decisions reflect Australian community values, and to promote public trust and confidence in the decision making of the AAT. The AAT has, in the last few years, had three former federal tribunals merged into it: the Social Security Appeals Tribunal, the Refugee Review Tribunal and the Migration Review Tribunal. Its decisions, especially in relation to migration and refugee matters, have clogged the High Court’s hearing lists in recent years. The review follows the recent rulings made by AAT members to overturn several ministerial decisions to cancel the visas of criminals in order to deport them, and should be presented to the Federal Government in about three months. Mr Callinan was, in his career at the bar and on the bench, a black letter lawyer and should, with respect, be presumed to conduct the review in that manner. Afterpay has grown into an international corporation with a value in excess of $AUD3 billion, and its share price has risen by over 37 per cent in trading last week and does not appear to fall within the scope of the Australian Consumer Law. However, it may now come within the scope of the Treasury Laws Amendment (Design and Distribution Obligations and Product Intervention Powers) Bill 2018 currently before the Commonwealth House of Representatives. The Bill will now go through a period of open consultation. If passed, ASIC will have powers of intervention as defined in the legislation where there is a risk of consumer detriment, including short term credit for a period of less than 62 days. It may be that in addition to Afterpay, which charges late fees rather than interest if its customers fail to pay on time, short term lenders such as Nimble may be caught by the proposed legislation. It remains to be seen what form the legislation takes in its final form.